Known as the superfruit of the XXI century, the blueberries are a berry belonging to the family of “wild berries”. Rich in flavor and nutritional properties, they are distributed, especially in northern and cold areas. Once collected, it is necessary that the blueberries are chilled until 4 hours after. They can be kept for two to three weeks in cold camera with temperatures close to 0ºC. Being aware of these factors, we offer temperature controlled in transit to preserve fruit during transport. From Asia and Europe, the blueberries are quite ordered, currently being consumed by over 275 million customers. Our blueberries come from Spain and Chile, with production from October to March, and from March to September respectively. And that’s why we have fresh fruit all year round. Chile is the second largest producer of blueberries in the world, the first exporter globally and the largest and most important in South America. It is estimated that are produced about 80 thousand tons per year. Spain nor lags behind, its production tripled in the last five years. According to experts, no fruit has grown so much in the world as the production of blueberries. 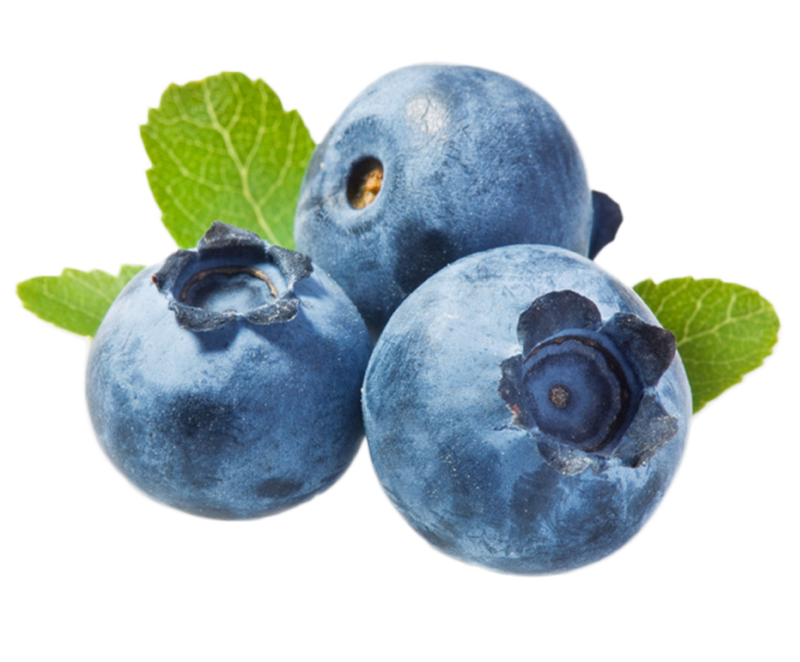 The blueberries are rich in cyanidin, delphinidin, malvidin, peonidin and petunidin. Besides being known due to its high anti-inflammatory property, it is also considered one of the most low-sodium foods, has 1 mg of sodium in 100 grams. 0.74 mg iron, 6.05 g carbohydrate, 22 mg vitamin C, 1.92 mg vitamin E, 41.68 kcal, 22 mg purine, 10 mg calcium, 34.20 carotenoids, 87.80 g water, 1 mg iodine and 78 mg potassium. – Because of high fiber content has laxative and purgative properties.